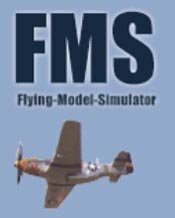 FMS is by far the most popular and arguably the best free radio control airplane simulator available.There are a few others including demo versions of expensive simulators. Unfortunately these RC simulators won't do you much good unless you have a controller for them. There's information at the bottom of this page on how to get your hands on a controller or how to use your own transmitter at the bottom of this page. As I stated early, FMS is clearly the best free RC simulator available. 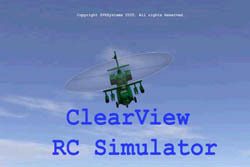 You can download your FMS free RC simulator here. The beauty of FMS, other than the fact that it is free, is that you can build and share your models with others. There are many talented people out there than have come up with some spectacular models that you can download for absolutely free. Check out this page for tons of free downloads of FMS planes park flyers, to warbirds, and even jets! This company has three different simulators to choose from. Two are for airplanes and one is for heli's. They're not actually free, but you can download the demos and test drive them for free. You can download these demos here at RealityCraft's homepage. 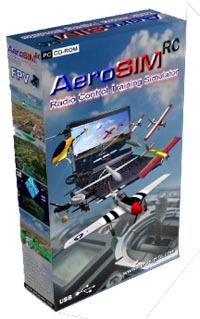 AeroSim RC is a very rudimentary simulator. You can download the free demo here. The kicker is that it will only let you use it for 2 minutes unless you buy the package that comes with the USB cord to fit your transmitter. However, there is a non commercial lesser version of this simulator called Manuel's Radio Control Flight Simulator and it is completely free to use. Clearview is actually pretty nice simulator. But it's not completely free. You can download a trial version for free. If you decide you like it you can purchase a code for around $40 to unlock the trial version. It's obviously not as good as RealFlight of Phoenix, but it's a decent simulator for that price. 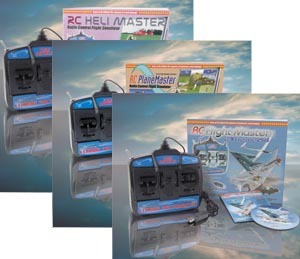 In order to benefit from these free RC simulators, the flight simulator controls need to be very similar to the transmitter you will be using at the field. If your transmitter has a trainer port you may be able to purchase an adapter that lets you use your transmitter with the computer. There's a good chance you can find a chord that will fit your transmitter on eBay. Some radios have different style plugs than others so be sure to read the "product info" after clicking the link to make sure you are ordering the correct cord for your radio. Many of the people who are interested in using a free RC simulator are just getting into the hobby and may not ave a transmitter to use. You can purchase an E-Sky controller specifically designed for FMS for very cheap. These controllers come with FMS on a CD so you don't have to bother with downloading it. 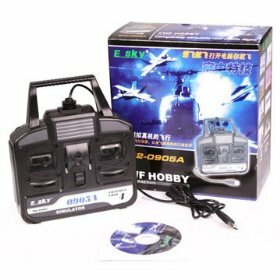 If you have a dual analogue PC game controller lying around, this can be used with Flight Model Simulator(FMS). The major drawback is that both sticks spring back to neutral position when you let off of them. This is a problem because the throttle stays where you put it on an actual RC airplane controller. You don't really get the entire feel of an actual RC transmitter when using a PC game controller. But it is fun to play around with if that's all you have.